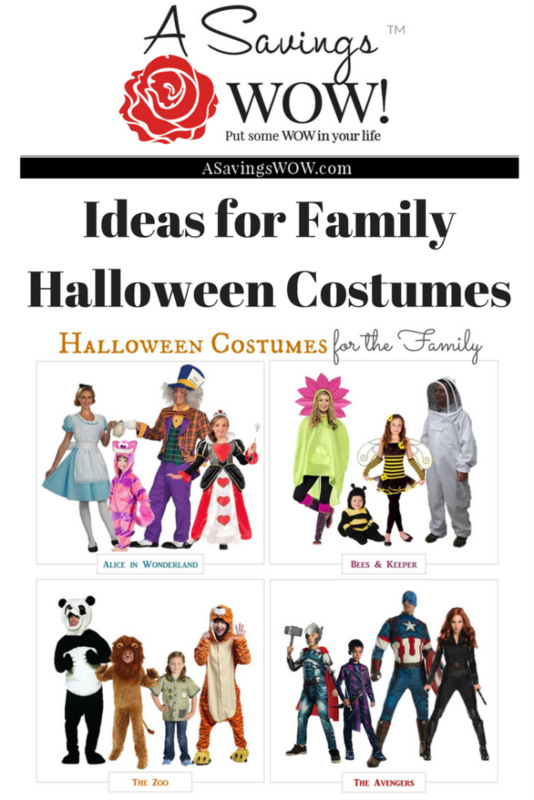 Halloween Costumes for the Family | A Savings WOW! Halloween is just a few weeks away. With these fun costumes, it will be easy for you and your family to go trick-or-treating or win a costume contest with a theme!